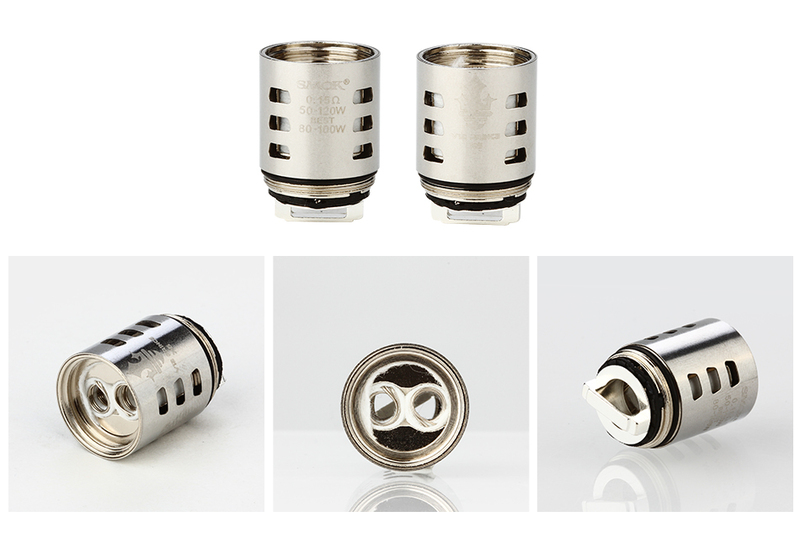 The brand new SMOK Replacement Coils are designed for the SMOK TFV12 PRINCE Tank with intense clouds and optimal flavor. There are V12 Prince-Q4 0.4ohm, V12 Prince-X6 0.15ohm, V12 Prince-T10 0.12ohm, V12 Prince-M4 0.17ohm, V12 Prince Mesh 0.15ohm and V12 Prince Strip 0.15ohm for your selection. The newly added V12 Prince Strip Coil is a fire-new revolutionary strip shape coil, which is made of Kanthal material with outstanding craftsmanship. Under the resistance of 0.15ohms, the strip coil can easily load higher power compared with other ordinary heating wires. 3 coils in each pack. Get them for your SMOK TFV12 PRINCE tank and enjoy vaping!